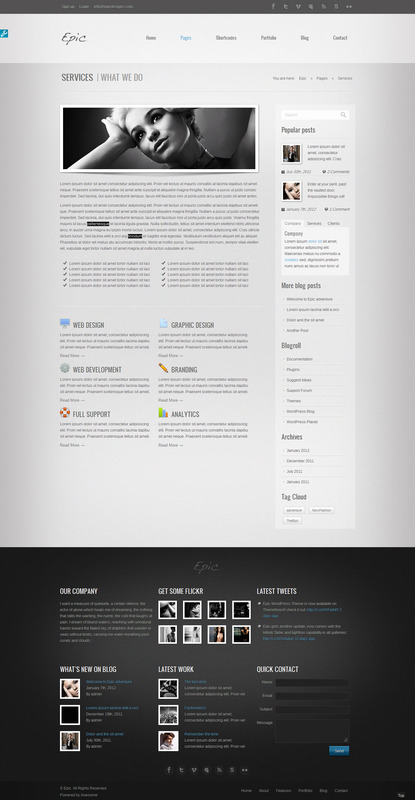 Epic is a premium WordPress theme, loaded with a myriad of features. 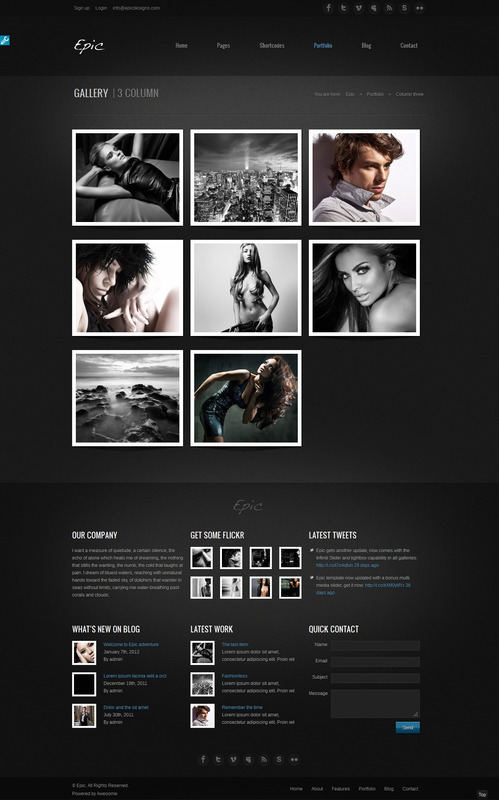 Epic theme is suitable for a wide range of industries including creative and corporate. Read more about Epic’s features below. A fair amount of shortcodes. Skin constructor. 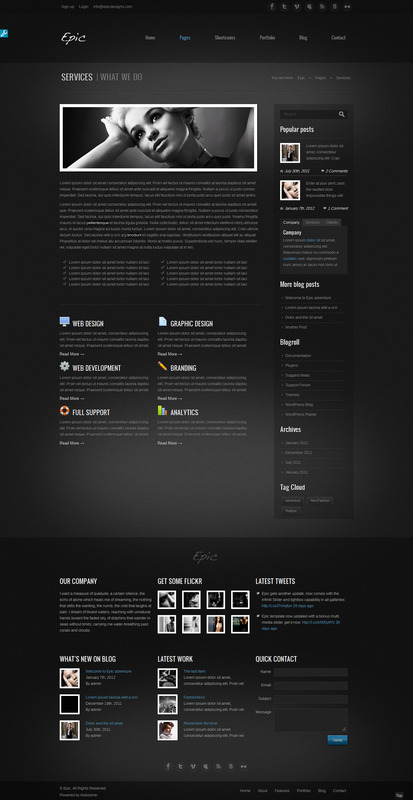 Changing the look of theme is extremely easy. 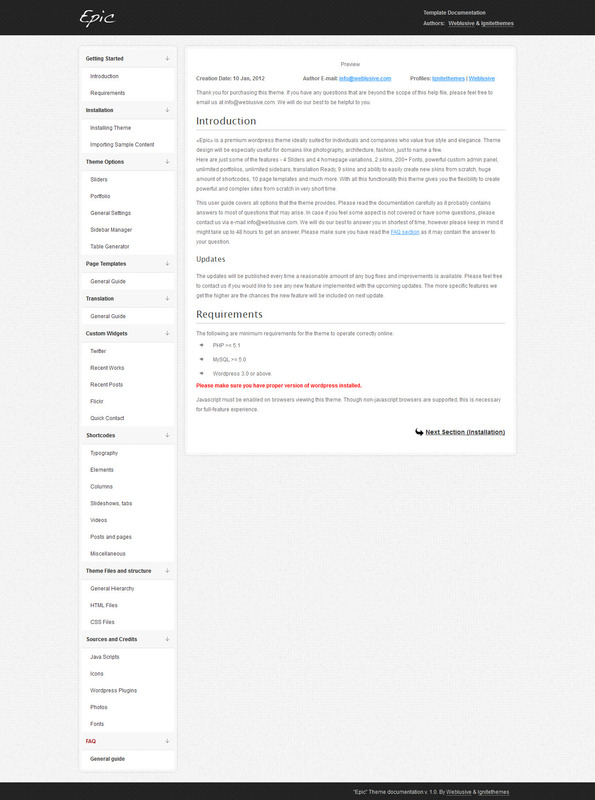 Attention: If you are updating from an earlier version, make sure to read Troubleshooting Paragraph of Workflow => Setup guide section of the documentation, to quickly address any issues you might have after the update. Changed 3D Piecemaker with Piecemaker 2 which is much more powerful. 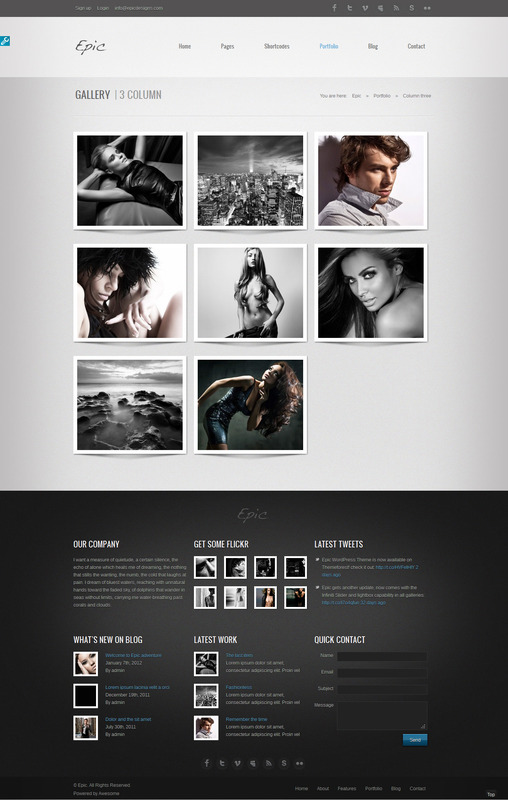 Added possibility to set static content for homepage instead of using sliders/predefined video. 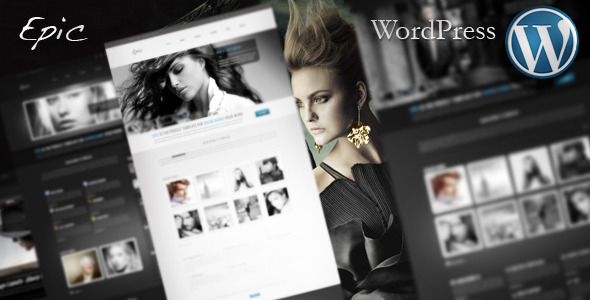 Integrated more powerful script for e-mails to achieve maximum stability. Fixed contact form error preventing sending e-mails. Fixed Nivo Slider featured image not showing in original size bug. Fixed recent posts bug and added an option to select specific category. Added option to specify image width/height parameters for 3D Slider. Changed Social icons links to open in new window. Fixed Search results page not showing correctly. 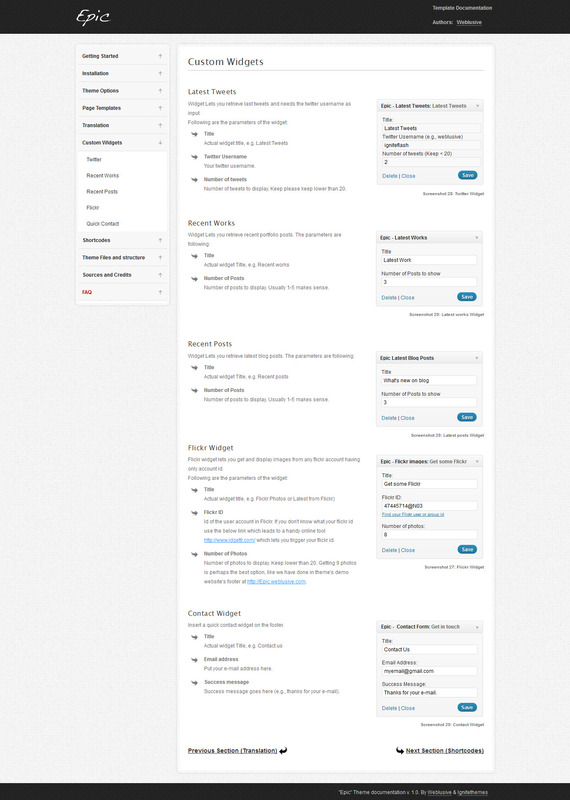 Made some slight changes in the documentation.